Casabella is a once in a life time boat. This beautiful vessel is the definition of opulence and beauty. It has a timeless feel when on board - whether you're at the inside bar, seated around the huge dining table, lounging on one of the many decks or watching a movie in the theatre room - Casabella has it all. 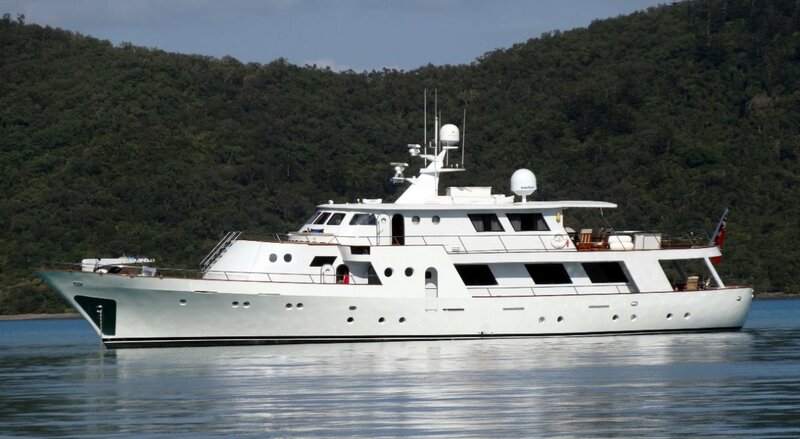 The current owner is interested in selling portions of the vessel or the whole boat if the right buyer presents. They have owned the boat for four years enjoying cruising around Fiji, Vanuatu & Queensland. They would really love to share Casabella with likeminded owners who want to experience a vessel with long distance cruising capability. Placing the vessel for charter is possible which will provide an additional return for the owners. Ideally the boat will be in Perth for the summer months for owners to enjoy at their leisure and then move north for the winter where there is great opportunity for charters. This world class boat boasts 4 large double cabins, all with ensuites and sleeping 8 guests very comfortably. Down aft you will find a fully equipped crew quarters. Please call TIM SWAN on 0412 563 319 to arrange a viewing.